In the digital marketing space, using hashtags has emerged as an inexplicable strategy with infinite power. It not only helps you discover new content, communities, and prospects, but has also transformed into a means to attract the target audience. Hashtags are mostly used to identify your product or service through the branded hashtags. Businesses use this method of getting noticed through location or industry hashtags. Moreover, descriptive hashtags help businesses to segment their target audience. Now, hashtags are in vogue in the online space, and marketing professionals are trying to capitalize on this new opportunity to leverage their business. In this article, we will discuss the three core hashtag strategies that will get you customer attention on social media. However, before jumping into the strategy let’s first have a look at how hashtags came into play in social media. Hashtags were first introduced on Internet Relay Chats. They gained popularity through Twitter, where they were initially used for “tweet chats”. These were open group discussions around a particular topic. The primary essence of the “tweet chats” is still relevant to how marketers use hashtags today. Hashtags are a word, or group of words, that preceded by the “#” sign, example #localmarketing #buylocal, #marketing. If you are technical, you may identify them as another form of a meta tag. If you are more marketing inclined, you will know these as money keywords that can keep your target audience engaged. Brand and campaign specific hashtags are used by businesses to promote their brand. Brand hashtags are usually your company’s name or its tagline. Getting people to use them can help in improving your brand visibility. These are hashtags that you and your customers can use at any point in time on social sites. When creating a brand hashtag for your company, ensure that it is unique and easily memorized. Do thorough research on the hashtags that are trending for similar businesses on Twitter, Instagram, Pinterest, Google+ and Facebook. Come up with a customized hashtag that best describes your business. If you find a similar hashtag that is trending for another business, brainstorm on other possibilities. It is ideal to keep your hashtags short and readable. The focus should be to come up with hashtags that can seep into your customers memory. For example, if you are a retailer of a designer furniture store, you can use #designerfurniture, instead of #wegotthebestdesignsforyou. 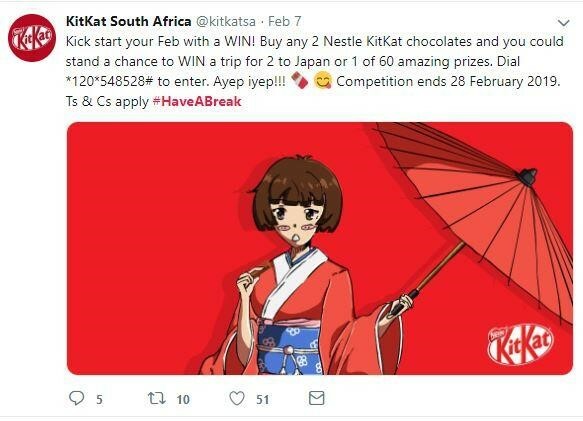 You can also use your catchy tagline as a hashtag, for instance, Kit Kat uses #HaveABreak, this helps to engage with the audience. A brand hashtag must be rated based on how it stands out from the crowd and its ability to engage with the target audience. A campaign hashtag can be built around a social media campaign run by your business. The campaign hashtags can be churned out based on the word or phrase that is unique to the promotional campaign. Conduct thorough research based on the idea on which the promotion being run and check the popularity of the same on Instagram or Twitter. Zero down on the best hashtag based on how it connects with your target audience. b) Keep the business tags short and sweet, this way they are easy to remember and spell for the users. c) Monitor the hashtag activity so that you can respond effectively when the tag is used. As the term implies, these are hashtags that are trending across social media platforms. These are usually the most talked about topics, which by online terminology, has gone “viral. Trending hashtags are dynamic, and their rise and drop are unpredictable. The top 10 trends can come and go within minutes or can last for weeks. It’s important to note that you don’t spam your social media posts with trending hashtags. Posting too is an indication of poor etiquette. Spamming trends can even get your Twitter account suspended. Only Twitter and Google+ are open to displaying the trending hashtags on their platforms. Hashtag trends on Twitter can also be assimilated to the trends in Facebook, Instagram and Pinterest to some extent. On Twitter, you can find trending hashtags on the left side of the Twitter feed. You can change the trends based on your geographic location and based on the specific niche that you follow. When you see a topic related to your business trending on social media, use them to make your say heard among the target audience. Prepare a content update with the trending hashtags and shoot it across all social media platforms where your audience interact the most. Using a popular niche-related hashtag can get your post travel across many like-minded people. So, you have to target the trending hashtags based on the niche. Putting it across with a stellar post on relevant social media platforms can get you founded by potential target audience. For example, if you are a musician or doing marketing for musicians, you can promote a tag like #MusicMonday and get seen by many followers. By using this niche relevant tag, you can spread the reach of your post and further connect with your fans and potential followers. (a) You must have a nose for news. You must be quick to assess the magnitude of reach a trending hashtag can bring. When you take the right choice, you can get the benefit of promoting your content and brand. (b) Find trending hashtags on Twitter, Google+ and other hashtag monitoring sites like hashtags.org, statigram, and trendsmap. (c) Make use of niche trending hashtags to create a connection and develop relationships with the market that you want to target. These are the tags that you include in your content. They are not branded and not used to define your company or business or marketing. They may not be necessarily trending or highly popular, but they can be common hashtags that are related to your posts. When you include content hashtags, it improves the SEO score of your posts. The tags get your content seen by consumers who are searching for, or using, the words that are in your hashtag. Whenever you post your products on social channels, ensure you put in the shoe of the consumer. Use hashtags that connect your product with the potential buyers and the market. People love to connect with users who have similar lifestyles. If you want to reach out to your target audience, you need to be aware about their interests and their hobbies. Once you create a blueprint, use the trending hashtags in a few of your updates. Event-based hashtags are great to include in content updates. An event can be anything from local community fairs to a global celebration, and can even add a live product launch or a live webinar. If your business is involved in any local or global event, then you have to tell your social connections about it and spread the word. You can do this by including the event hashtag in your post. For example, William’s Sonoma tells their Facebook Fans about a local charity event they are attending. They make use of the hashtag #FeastPDX to support the event and the cause and promote the content with partners through social websites. If you have a local business, it is imperative that you build a personal connect with your customers. Use specific geo-targeted hashtags that will get your business popular and known in the city. For instance, if you’re a local shop owner, use the hashtag of your town and try interacting with your potential customers who also use the town hashtag; local customers will notice your updates. Find common hashtags by checking out the ones that are used by your follower base, your competitors, and your product partners. Engage with the people who are using related and common hashtags. Whether it’s a retweet on Twitter, a like on Facebook, a comment on Instagram, and so on. Don’t ‘spam’ your posts with too many common hashtags, and this makes you look sales-like and doesn’t instill trust with your consumer. In the end, you have to use hashtags to create a brand for your business and marketing campaigns, catch real-time trending tags, and expand the reach of your content. A creative content writer and an SEO specialist working currently at Stan Ventures, a popular White Label Blog Writing services provider. For a quick response, connect with me on LinkedIn.